The foregoing list is an unofficial honor roll for Middleborough and Lakeville’s Spanish-American War era soldiers and sailors. In the absence of an official honor roll, it is hoped that this list will mark a step towards formally recognizing their contributions and sacrifice. Every effort has been made to ensure the correctness of this list. Pension and other military records, census schedules, newspaper items, published military histories and on-line resources have been scoured for details about the lives, military service and contributions of these men. The men listed were either natives of Middleborough or Lakeville, or residents of one of the two towns at the time of their enlistment. Both Justin W. Hayward and Christopher D. Reed have been included on the basis of contemporary newspaper accounts from the period which describe them each as "of North Middleborough", though they may have in fact been Bridgewater residents. At present, there may be a number of men not included as their service or connection to either Middleborough or Lakeville has yet to be verified. Additionally, veterans who located to Middleborough or Lakeville following the war including Victor Gabrey, former Town Manager Harry J. Goodale, William A. Maltais and Robert Ward are not included here. 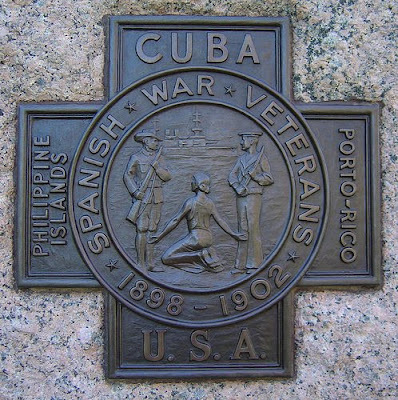 Spanish-American War era veterans are those considered to have served in the Spanish-American War (1898), the subsequent Philippine American War (1899-1902), and the China Relief Expedition.